Tyrone set a record in 2006 at the National Association for Campus Activities for most college and university bookings in the history of the Convention from a single showcase. Tyrone was born in Seattle and raised in Spokane, Washington. He has said in interviews that he was inspired by his older sisters who “brought out the music in me” but did not begin songwriting until his move to California. While attending Hope International University in Southern California Tyrone joined the band Skypark. Skypark worked with producers Ed Stasium and Thom Roy. 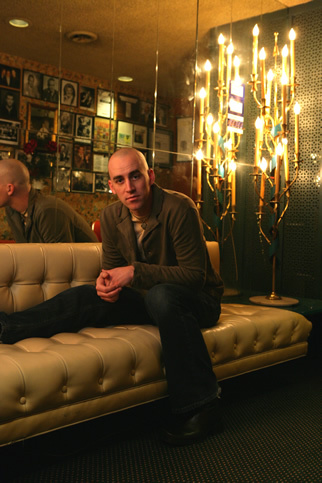 In2000 Tyrone launched his solo career, playing regular acoustic shows in Orange County, California, where he and a small movement of folk, pop and urban folk artists including Mike Barnet, Danny Vasquez and Jaycob Van Auken formed a loose coalition called True American Records. In2006 Tyrone signed a recording contract with Universal Records. His latest full-length solo album, “Remain,” had the hit song, “More” which reached #13 on the Triple A radio charts. The second single “Sink or Swim” was used in promos for the season 6 premiere of Grey’s Anatomy. His latest recording, the EP “Metal and Wood” goes back to his acoustic roots.